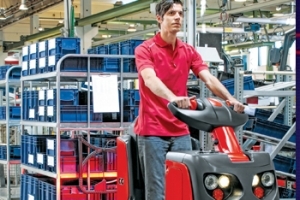 Linde Material Handling has expanded its range of electric tow tractors with the launch of its latest P20 model with a 2-tonne towing capacity, making it capable of pulling up to five small trailers. 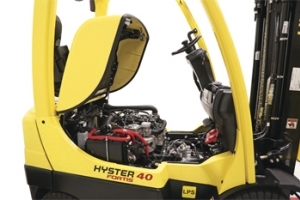 Hyster Company, a US-based leading world-wide lift truck designer and manufacturer, has announced it has received a 2015 Product of the Year Award from Energy Manager Today in the materials handling category. The award was earned for the company’s PSI industrial lift truck engines featuring Hyster Variable Power Technology. 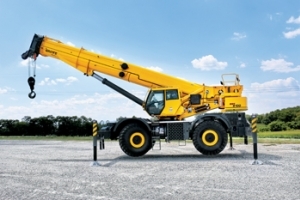 Manitowoc will feature a new Grove rough-terrain crane at its booth for bauma 2016: the all-new GRT8100, which features class-leading capabilities and Manitowoc’s Crane Control System (CCS). The event takes place in Munich, Germany, April 11-17.